Spokane will be under a Red Flag Warning from 2 p.m. today until 5 a.m. Saturday morning. A Red Flag Warning signals a high risk for fire. Windy weather, low humidity and high temperatures contribute to the possibility of fires. Other areas under the warning are Whitman, Adams, Grant and Douglas counties and southern portions of Okanogan, Pend Oreille, Stevens and Ferry counties as well as the Okanogan Valley in Okanogan County. Friday will reach a high of 86 degrees, and between midnight and 3 a.m. Sunday, Spokane will likely see rain with a possible thunderstorm, according to the National Weather Service. Matt Fugazzi, meteorologist for the National Weather Service, said exposed terrain like dry grass fields will be especially at risk for fire. 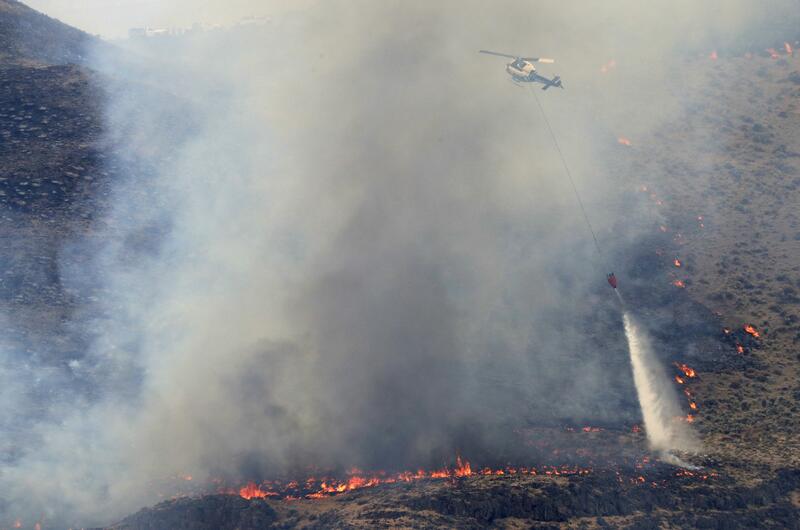 The nearest fire to Spokane is six miles southwest of Cashmere, Washington and has burned 400 acres as of 9:45 a.m. Friday. Published: July 6, 2018, 11:10 a.m. Updated: July 6, 2018, 11:10 a.m.